With a focus on looking good and feeling great, restaurant-owner Ankit Patel has brought a whole new dimension to tikkas: a popular Indian dish of marinated meat or vegetables cooked over high heat on a large iron skewer. Opening the doors to Tikka Take in Genge Street (just down from the ATO building) last Monday, the new takeaway restaurant is already receiving delicious feedback. “People are excited by how unique it is, and how great it tastes. 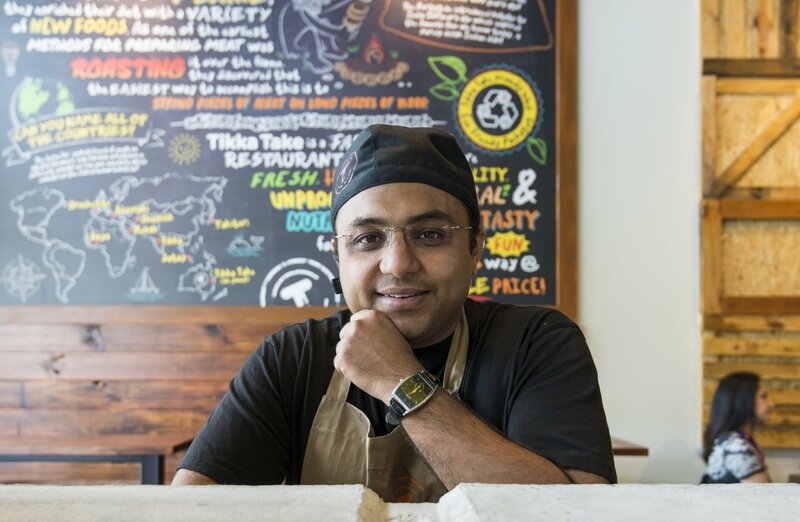 We’ve really focussed on finding that balance between flavour and health and I think we’ve achieved that,” says Ankit. “Super fresh” and “melt in your mouth” were consistent comments, with every dish made to order in front of your eyes. The signature dish “Tikka Take” has been designed to be an almost Subway-style take on a traditional Indian dish, prepared using state-of-the-art cooking technology. Then you add a marinated meat and/or vegetable skewer to the mix, and top it off with any one of a long list of mayonnaise, mustard, relish, gravy or salad dressing toppings. Also on the menu is a beautifully arranged “coin pappadum tray” and traditional samosas. On open day the “Gola Dish” dessert proved almost as much of a hit as the Tikka Takes. Gola Dish is Tikka Take’s unique take on Gola (crushed ice flavoured with colouring). 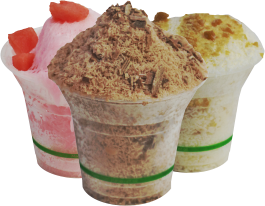 On offer is a water-based version flavoured with lemon lime or watermelon, or a milk-based version flavoured with chocolate or custard butterscotch. With health front of mind for Ankit Patel, there are many items on the menu that are vegan, vegetarian or gluten free. The restaurant boasts a DIY juice bar and the seating is made entirely from raw, recyclable material. They also use locally-sourced natural produce, and bio-degradable and eco-friendly packaging. Tikka Take is located at Shop 6/21 Genge Street in the City. They are open 10am-10pm Sunday to Thursday, and 10am-11pm Friday and Saturday. For more information, visit the Tikka Take website.